Manufacturing/Management Practice-Standard. A general GMP code applies to the transport of animal feed, yet there are also a number of separate additional standards which apply. The GMP+ standard comprises all of the components of the ISO-9001 NORM and the HACCP criteria. In addition, the application of specific GMP management measures is required. 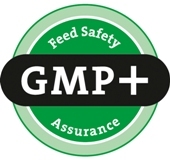 By applying measures based on the GMP standard, the safety and quality of animal feeds and feeding equipment may be guaranteed on a number of levels, such as system, process and product. The GMP regulation satisfies the requirements in the animal feed legislation and regulations. In addition, certified companies can demonstrate to you that they employ an optimum quality in the transport of feeding equipment.